Do you want to get even more out of your Smart Home products? 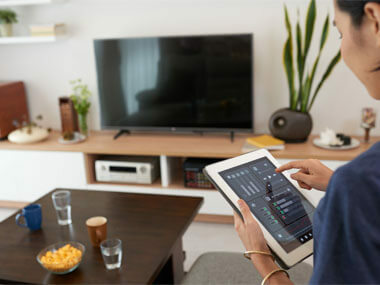 Then create a connected home by linking different gadgets easily and effortlessly. Perhaps the easiest and most popular solution is the free IFTTT (“If This, Then That”) platform. 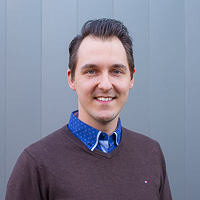 Back in December 2016, we launched the Nuki IFTTT channel, becoming the first Smart Lock in Europe to be connected to the biggest IoT (“Internet of Things”) platform. 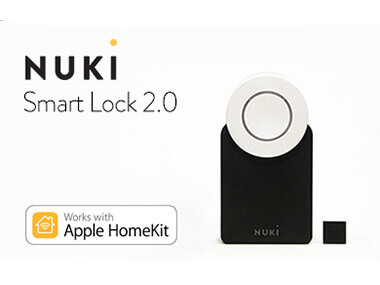 With the Nuki Smart Lock 2.0, the possibilities for integration into your Smart Home system have been greatly enhanced – not least by Apple HomeKit compatibility and the door sensor. We thought that all these new possibilities meant it was time to expand our IFTTT channel with a few new features. From now on, you can also specify changes in the status of your door detected by the door sensor as triggers in your IFTTT applets. For example, you can receive a notification every time your door is opened. Using the battery warning as a trigger, you can choose for yourself how you are notified when the batteries in your Smart Lock are low. Whether by Facebook message, email, or even SMS – it’s completely up to you! There are many reasons re-calibration might be necessary: changes in temperature, the door not being properly closed when you lock it. IFTTT is a great way to be informed promptly when a new calibration is needed. As well as the new triggers, we have also added an action which opens up new possibilities for controlling your Smart Lock. You can now activate or deactivate the auto lock feature via IFTTT. This is particularly useful if you use the electronic lock in your office and you want the door to remain unlocked during business hours, but always to lock itself after a certain time of day.